The first Future Cement conference took place at the London Chamber of Commerce and Industry in London, UK, on 8 February 2011. The conference was attended by 65 delegates from 20 countries. Following 11 presentations on the first day, the second day featured a field-trip to Cemex's 'future-proof' grinding plant in Tilbury, Essex. After a drinks reception for those arriving early in London on the evening of 7 February 2011, the conference itself began at 9am sharp at the conference venue in the heart of the City. Conference convenor Dr Robert McCaffrey welcomed delegates from all nations, who were invited to greet their fellow delegates in their native language. The first presentation was by Dr Pal Chana, Executive Director of the Mineral Products Association. In his presentation, entitled 'Low carbon cements: The challenges and opportunities,' he summarised the reasons why cement producers need to reduce their CO2 emissions and ways that they have reduced CO2 intensity per tonne to date. He highlighted that the main reasons for reducing CO2 emissions were; 1) to attempt to reduce the expected effects of anthropogenic climate change, 2) to reduce fuel costs, 3) to comply with increasingly stringent emissions' regulations and 4) the expectations that consumers have that companies should pursue sustainable business practices. He broke down the CO2 emissions from cement production into 'reducible' and 'irreducible' parts. He claimed that 61% of the CO2 from cement production comes from making clinker and that these emissions could not be avoided, with the remaining 39% caused by fuels used in the kiln, mills and transportation. Dr Chana highlighted that cement companies had so far used a variety of approaches to reduce emissions by using clinker extenders, improving energy efficiency, using alternative fuels and other streamlining measures. He showed that average total CO2 emissions had dropped from 907kg/t in 1990 to around 838kg/t in 2008 by using these approaches. He was also keen to highlight the possibility that large savings could be made in the future using CO2 capture and storage (CCS). Going forward, Dr Chana described the likely barriers to the commercialisation of novel cementitious materials, namely 1) the difficulty of new manufacturers making their novel product(s) commercially viable, 2) ensuring suitable and reproducible mechanical and chemical performance, 3) raising research funding, 4) the need for new legislation for cementious materials that cannot possibly conform to existing legislation and 5) the conservative attitudes of existing manufacturers and their customers that are used to using OPC. He started by saying that start-ups should move away from attempting to produce cementitious materials, to targeting sustainable aggregates, because cement is rarely used by itself. He then gave a summary of the various existing approaches that are being taken by different companies to stem what he called 'a damaging flow of molecules' (ie: the release of CO2 NOx, SO2 and other pollutants to the atmosphere). He looked at the spectrum of potential alternatives from OPC to CEMII and CEMIII, magnesium-containing cements, geopolymers, CaO-lime cements, belite cements and others. He expressed his frustration at the current barriers to market, in his view include patents, the high cost of some more sustainable raw materials and a lack of a coherent worldwide carbon trading scheme, which he feels could help the producers of alternative cementitious materials. He also called for the introduction of performance-based standards that would make it more feasible for novel cementitious materials to make it to market and that start-ups should consider working with existing cement producers to help them to improve their products, rather than attempting to compete. Next was Adam Page of Intertech Pira. 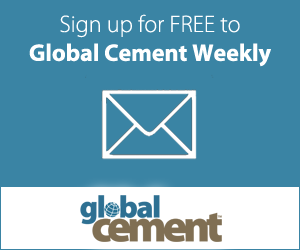 He gave a review of Intertech Pira's recent report 'The Future of Green Cement to 2020.' He described the progress to date of the cement industry towards sustainable cement production by describing four 'levels.' 'Level 1' includes such things as good housekeeping, using efficient technology and provides some environmental and economic benefits. Page said that producers in developed economies are all at least at this level. 'Level 2' includes the use of alternative fuels, which can provide further environmental and economic benefits and is almost universally seen in plants in developed economies. Going one step further, 'Level 3' includes the use of novel approaches such as carbon capture, waste-heat co-generation and the use of partial replacement alternative raw materials that are currently expensive to implement, but have the potential to provide further massive savings in the future. There are few plants that are currently implementing these approaches, but they are expected to become more common. Finally, Page described 'Level 4', as 'beyond cement,' which includes totally new chemical systems and/or different approaches to the production of cementitious materials. He forecast that Europe would be the first region of the world to see the introduction of level 4 practices within the next 10 years. He also highlighted that the industry would become more efficient as a whole when Asia moves from level 1 to 2 over the coming decade. Following Page's presentation the 'Meet the Delegates' session was held, in which all of the delegates were asked to introduce themselves, their company and say who they were most interested in talking to at the conference. The coffee break which followed this session enabled delegates to approach those that they would like to meet and provided the opportunity for much discussion and networking. He started by outlining the coal-fired power industry in the UK, which has a number of old, inefficient plants producing 5.3Mt/yr of PFA, 0.8Mt/yr of bottom ash and 1.5Mt/yr of gypsum by flue-gas desulphurisation. Several of the plants are due to be decommissioned by 2015 under the Large Combustion Plant Directive, having agreed to not upgrade their equipment. He highlighted that there were a number of industries that use by-products from the coal-fired power industry. Unfortunately for the cement industry, there is a mismatch between the demand for building materials in the summer and the production of ash in the winter. He highlighted several regulatory problems affecting the use of ash in various applications. Next to present was Gary Hunt of Cenin Ltd, who gave a paper entitled 'Making high performance low carbon cement replacements from calcareous fly ash,' which was co-authored with Martyn Popham. Hunt described Cenin's range of cement replacements, based on its Semi-dry Product (SDP) and its Wet-Cast Product (WCP). These are further separated into standard and high-strength derivatives and can be blended with OPC clinker to satisfy the requirements of the client. Associated emissions of Cenin's material are 43kg/t, around 5% of those of OPC. The company claims that its products also give better strength and lower cost than OPC. Hunt described that the Cenin process does not use a kiln, but instead uses alternative raw materials to produce its product. He said that it can reliably produce low-CO2 material, with consistent physical properties and it can produce material identical to OPC. It can also replace 100% of OPC clinker, a result only obtained in December 2010. In addition, Hunt stated that there was no quarrying of natural resources associated with the production of SDP or WCP. Following Hunt's presentation delegates broke for a buffet lunch, enabling further discussion of the topics raised in the morning session and networking with existing and new contacts. The first presentation after lunch was given by Dr Nikolaos Vlasopoulos from the well-represented local company and conference sponsor Novacem. In his presentation 'Novacem - A carbon negative cement for the constuction industry,' Vlasopoulos set out Novacem's aims, namely to produce a cement substitute that absorbs more CO2 than it emits, with the same costs and performance of OPC. The process that Novacem uses involves converting magnesium silicates to magnesium oxide at much lower temperatures than OPC production, in the region of 700°C. The process currently emits around 50-100kg of CO2 per tonne of product. Carbonate is then made by absorbtion of between 300kg and 500kg of CO2 at high temperature and pressure. Overall, this gives CO2 emissions of between +100kg/t and -100kg/t of product. Vlasopoulos then described the process by which Novacem estimated the possible usable reserves of magnesium silicates in the world. Starting with an initial estimate of the total amount of magnesium silicates, the company selected those with a high magnesium content and further refined its search by only considering sites where there is in excess of 1Bnt that can be mined by open pit methods. Novacem was surprised to find that the readily accessible reserves were around 20Tnt! Bouyed by this, Novacem has since set up a pilot plant that operates continuously. Using this it has solved a number of operational and reliability issues. Phosphogypsum is a by-product from phosphoric acid production and thus potentially a good candidate for inclusion as a clinker extender in OPC. Describing a variety of techniques including thermogravimetric analysis, differential scanning calorimetry and the use of micrographs she showed that the inclusion of 5% phosphogypsum in OPC provided the highest mechanical strength of the study. She described that in the lab, material with strengths better than OPC could be formed using a temperature regime 150°C cooler than standard techniques. Next up to the lecturn was Remus Iacobescu, a third year PhD student at the Politechnica University of Bucharest, Romania. He began his presentation, entitled 'Influence of firing temperature and cooling process on the minerology of belite-cement clinker with electric arc furnace (EAF) steel slag addition,' by describing the composition of EAF, which is high in the oxides of calcium, silicon, aluminium and iron. It reacts rapidly with other materials, but contains a high amount of aluminium oxide. He described a laboratory process in which two clinker cooling regimes were compared. One incorporated hammering the clinker to break it up with air cooling, the other involved dropping the clinker directly into liquid nitrogen. Iacobescu described the differences between the two regimes using micrographs with reference to the belite content. Following on from Iacobescu was Calix's Dr Brian Sweeney, who gave a presentation entitled, 'Flash calcining technology for cementitious binders and additives' on behalf of Julian Dinsdale. He described Calix's flash calciner, which can be used by clients to calcine dolomite, magnesite or limestone. It uses steam as a catalyst, heat-source and solid transport aid and heats material to between 300°C and 500°C. Material is forced down the calciner by the steam and calcines in a matter of seconds. Not only is the process low temperature, it produces products with very high surface areas and produces a 98% pure waste CO2 that can either be condensed and sold on to industry or sent back into the process to enable carbon neutral materials to be produced in some cases. The company has a trial plant in Bacchus Marsh, Victoria, Australia, which currently produces 20,000t/yr of material. The company plans to increase this to 80,000t/yr by the end of 2011.
the mineral nesquehonite (Mg(HCO3)(OH)*2H2O, which provides great strength due to its long needle-like crystals, as well as a high surface area, vital for gas permeability. He also described the company's 'Tec-Cements' with varying composition of magnesium-based minerals, OPC and other materials. He described one composition in which 50% of the OPC clinker was replaced with magnesium based materials, but which still retained the physical strength of 100% OPC. The last presentation was introduced by Robert McCaffrey as 'something completely different.' Leon van Paassen of Delft University of Technology gave a very interesting account of research conducted in the Netherlands into bio-based cements and 'self-healing' concrete. In the first part of his presentation he introduced 'biogrout' a biological ground improvement system based on mixing unstable ground with a specific bacteria, urea and calcium chloride. The bacteria convert the urea and calcium chloride into calcium carbonate, sticking the unstable ground together, be it sand, shale, rubble or otherwise. Van Paassen explained that following on from increasingly large laboratory tests, which culminated in researchers producing 40m3 of 'sandstone', the group was approached by a construction company looking to lay a pipeline under several rivers. The researchers boldly took on the project, enabling the ground to be partially stabilised at a fairly high cost. The process is now being refined so that specific bacteria and specific foodstuffs are not essential. The removal of calcium chloride is also a problem. This approach has also been used in research into 'self-healing' concretes in which 'food' and dormant bacteria are mixed into a concrete structure. In theory, when a crack forms in the stucture, oxygen reaches the bacteria and they become active, consuming the 'food,' forming calcium carbonate that fills up the crack. Van Paassen suggested that this principle could be used to retrofit buildings by painting them with an appropriate suspension. Following the final presentation, conference convenor Robert McCaffrey gave his thoughts on the issues raised during the day. He said that the 'first in line' to be future cements were those containing slag and ash. Following earlier discussions with some of the delegates, he raised the prospect of CEMVI, a new definition for cements containing radical departures from traditional OPC chemistry. He added that he expects the industry to move away from standards to a new paradigm where customers would demand more specific cementitious materials from manufacturers. He also suggested that some European producers would break into 'Level 4' in the medium-term but did not give a more specific timescale. Following the end of the technical presentations, delegates were invited to a buffet-style social evening in the nearby Samuel Pepys public house. Pizzas were spun, topped and cooked to order at the riverside location, which offered delegates views of London's South Bank. On 9 February 2011, 35 of the delegates met back at the Chamber of Commerce and Industry to pick up a coach to be taken on the optional field trip to Cemex UK's Tilbury grinding plant, which can produce CEMII and CEMIII blended cements. Delegates arrived at the plant at around 10am and were introduced to the plant, commissioned in 2009, in a presentation by plant director Gavin Cowen. After a large amount of discussion, delegates were taken on a tour of the plant, taking in the state-of-the-art vertical roller mill, blending equipment, control facility and chemical and physical testing laboratories. 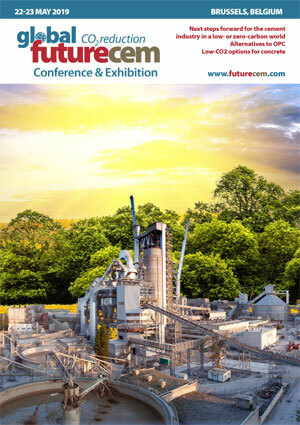 The Future Cement conference showed that there are options other than an OPC-based future for the cement industry. There is a long way to go, but every journey starts with a single step.